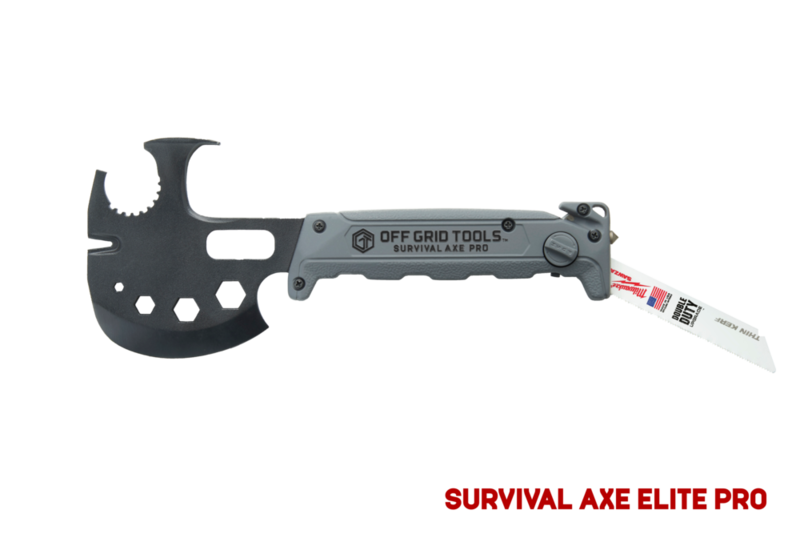 With 30 unique features, the tool is designed to handle any type of situation you might run in to. 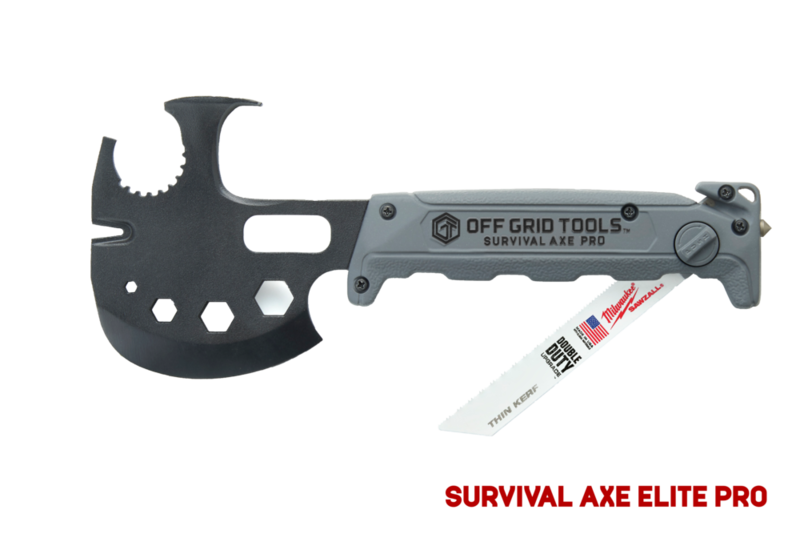 Whether you are looking to set up camp for the night, escape from a burning vehicle, or survive a zombie apocalypse, the Off Grid Tools Survival Axe Elite Pro is the perfect tool for the job. The durable die-cast aluminum handle contains a 6" Milwaukee® Sawzall® blade that is designed to cut through just about anything. The easy grip knob easily flips the blade out and locks it into place. Simply press the knob and twist to flip the blade in and out. 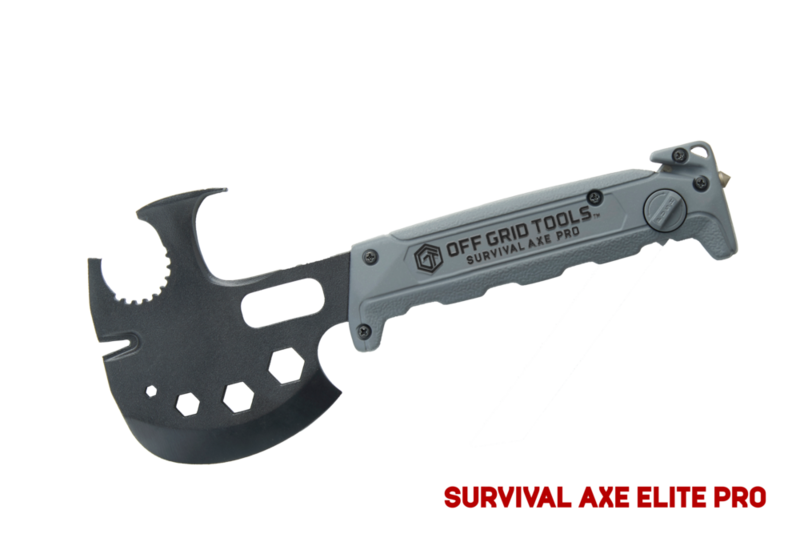 The knob and cam system easily folds out the replaceable saw blade. 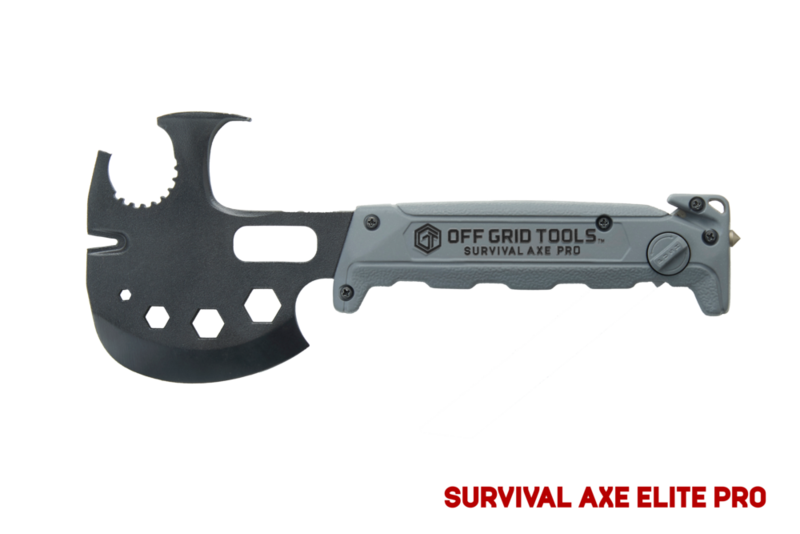 The Survival Axe comes with a multiuse saw blade, that can is strong enough to saw through metal.